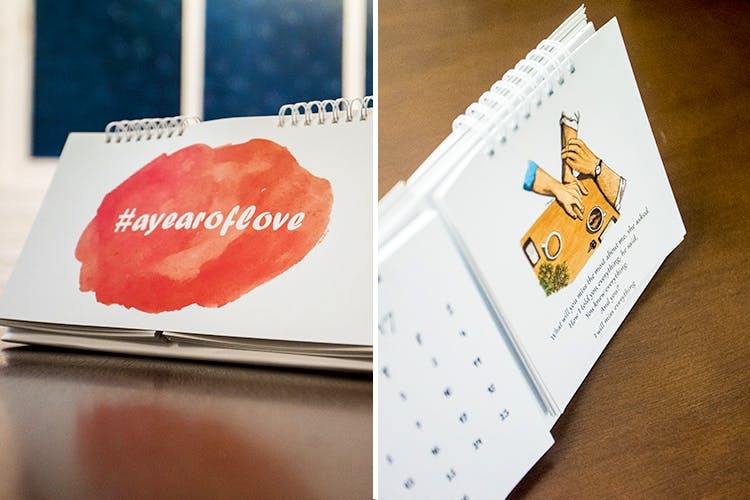 A flip calendar explores the journey of love and we’ve fallen for it, hard. Lend us your ears, oh beloved readers. What happens when an author and an artist come together? A story comes alive. That’s exactly what happens in this calendar created by Aastha Atray Banan, a romance author and Shawn D’Souza an illustrator. Called #ayearoflove, it celebrates the journey of a relationship – right from the first kiss to the phase when a lover turns into just a contact on your phone. The calendar captures the beautiful moments that one experiences in love. The writing is beautiful, heart-wrenching and subtly funny too. The illustrations play the perfect partner to the writings. Priced at INR 600 you can get it here. Flip through stages and months, only to find yourself closer to the idea of love, lust and heartbreak. The calendar is perfect for those who believe in the power of poetry and art. Place an order on their Instagram page here. You can follow the illustrator here.